Before beginning a restorative dentistry plan with Ardmore dentist, Jamie Guthrie, DDS, you will visit us for a treatment consultation. During this planning visit, we’ll carefully explain every step of the restoration process and partner with you to budget for the out of pocket costs of your crown. If you’re ready to get started with your dental crown restoration plan, call Dr. Guthrie and his Ardmore dental team today. We look forward to helping you repair your smile’s form and function. The material we use for your dental crown significantly impacts the cost of treatment. 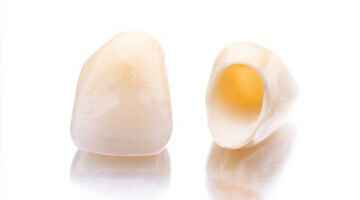 Metal crowns offer the most affordable treatment options, but they are also the least natural looking. Additionally, this option may not be effective for patients with metal allergies or sensitivities. Gold dental crowns are the most expensive, but they do blend into the natural smile line better than other metals. Gold also causes the least wear against surrounding teeth while providing a durable and long lasting restoration. While gold is a type of metal, it doesn’t usually adversely impact patients’ smiles in the same way that other metals can. 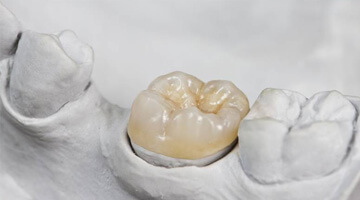 Porcelain fused to metal crowns look more like natural teeth, but they need to be replaced frequently because the natural-looking porcelain wears down revealing the dark colored metal below. Porcelain fused to metal crowns can also lead to the same irritation and discomfort that occurs due to metal allergies. An all-ceramic crown looks the most natural, but it may cause more wear to surrounding teeth. Both of these options are less expensive than gold but pricier than metal alloys, making them a great middle of the road option. 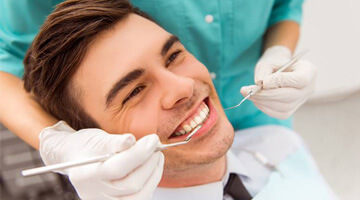 Most dental insurance providers cover the costs of dental crown restorations between 50 and 70%. 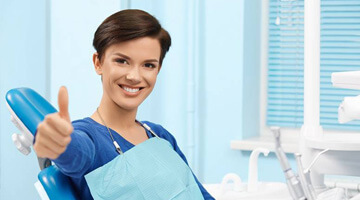 We are happy to process and file dental insurance claims for the majority of benefit plans, and we offer in-network dental coverage for HealthChoice and Delta Premier plans. If you want to split the costs of your dental crown into several smaller monthly payments, we are happy to work with third party financiers to offer low and no interest monthly payment plans. Don’t hesitate to reach out to our team to learn more about applying for approval, or we’ll be happy to work with you in our office.